We made it. The 2017 WNBA Playoffs are officially here. Three days after the regular season concluded, postseason play will kick off on Wednesday night with the first round of action. The first round of the playoffs will be single elimination. In the first round, the No. 5 seed hosts the No. 8 seed and the No. 6 seed hosts the No. 7 seed. No. 7 Dallas Wings at No. 6 Washington Mystics, 7 p.m. The playoffs will begin with a game against the seventh-seeded Dallas Wings at the sixth-seeded Washington Mystics at 7 p.m. on ESPN2. Dallas and Washington faced off against each other three times during the regular season, with the Wings holding a 2-1 series advantage. Both of those wins by Dallas, by the way, came on the road in the nation’s capital, where the game is being held Wednesday night. If the Phoenix Mercury win the other first-round game on Wednesday, the winner of this game will face No. 3 New York in the second round. If the Seattle Storm beat the Mercury, the winner of this game will play No. 4 Connecticut in the next round. No. 8 Seattle Storm at No. 5 Phoenix Mercury, 9 p.m. The second game of the playoff doubleheader on Wednesday will feature eighth-seeded Seattle at fifth-seeded Phoenix at 9 p.m. on ESPN2. Phoenix holds a 2-1 season series advantage, but lost the lone home game of the season series to Seattle. We can likely expect a close game on Wednesday night between these two teams, as each of the three games during the regulars season were decided by an average of 5.3 points. If Seattle wins Wednesday’s game, it will advance to play No. 3 New York on Sept. 10 in the second round. If Phoenix wins, it will face No. 4 Connecticut in the second round. In the second round, which is also single elimination, the No. 3 seed hosts the lowest-seeded first-round winner and the No. 4 seed hosts the other first-round winner. TBD at No. 4 Connecticut Sun, 2 p.m. The Connecticut Sun will host the highest remaining seed on Sunday following the first round of play on Wednesday night. If Phoenix beats Seattle on Wednesday, the Mercury will travel to Connecticut for the second round at 2 p.m. Sunday on ESPN2. If Seattle beats Phoenix, the Sun will host the winner of the Wings/Mystics game. Connecticut holds a 12-5 record in front of their home crowd this season and are 6-4 in its last 10 games. TBD at No. 3 New York Liberty, 4 p.m. The New York Liberty will host the lowest remaining seed on Sunday following the first round of play on Wednesday night. If Seattle beats Phoenix in the first round, New York will host the Storm at 4 p.m. Sunday on ESPN2. If Phoenix beats Seattle, the Liberty will face the winner of the Dallas/Washington game. New York comes into the game riding a 10-game winning streak at the end of the season. The Liberty held a 13-4 home record during the regular season. The semifinals feature a best-of-five format, with the No. 1 overall seed playing the lowest remaining seed and the No. 2 overall seed meeting the remaining team. The Nos. 1 and 2 seeds will host Games 1, 2 and 5, and the lower-seeded teams will host Games 3 and 4 in their respective series. TBD at No. 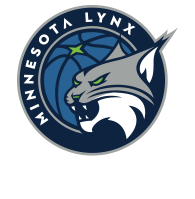 1 Minnesota Lynx, 7 p.m. 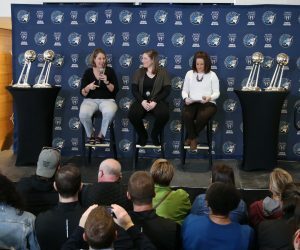 The top-seeded Minnesota Lynx will host the lowest remaining seed in the playoffs in a best-of-five series that will begin on September 12 at Williams Arena on the campus of the University of Minnesota. 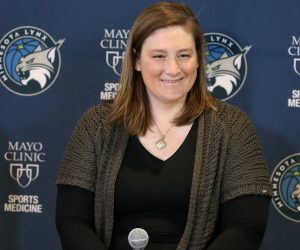 If the seeds play out, the Lynx could potentially host the Connecticut Sun in the semifinal round, which would set up an interesting matchup and return of two former Minnesota Golden Gophers. 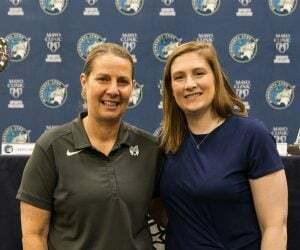 If the matchup indeed happens, Minnesota’s Lindsay Whalen and Connecticut’s Rachel Banham would return to their old college stomping grounds. We will know more about who Minnesota will face in the semifinal round following the second round on Sunday and we will preview that matchup for you prior to the start of the semifinals on Tuesday. TBD at No. 2 Los Angeles Sparks, 9 p.m. The second-seeded Los Angeles Sparks will host the highest remaining seed left in the playoffs following the second round of action. The Sparks enter the playoffs playing well as of late. They won seven straight games and went 8-2 in their final 10 games to end the regular season. Just like Minnesota, we will know more about who Los Angeles will face following the second round on Sunday. The WNBA Finals series is also a best-of-five series and will follow the same 2-2-1 format as the semifinal round. 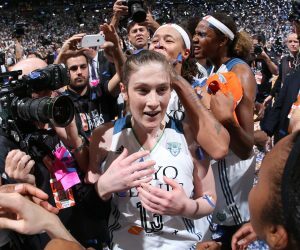 The WNBA Finals schedule, teams and location of games will be announced following the conclusion of the semifinal rounds. Enjoy the playoffs, basketball fans.